Emergency Preparedness Buckets will be assembled by the Board of Stewardship and Mission at the Church of the Holy Cross after Sunday service on June 28. The resealable five-gallon buckets were donated by HPM Building Supply and members have contributed such items as scouring pads, a scrub brush, disinfectant wipes, liquid concentrated household cleaner, liquid disinfectant dish soap, a tarp, 100 feet of clothesline, latex gloves and work gloves, dust masks, and a 28 bag roll of heavy duty trash bag. When Tropical Storm Iselle hit the Pahoa-side of the Big Island in August of last year, the church distributed 14 buckets to friends and neighbors who were affected by the storm. As they once again prepare for another emergency, members have also been reminded to prepare similar emergency buckets at their own homes. This Sunday, June 28,, has also been designated as Church Musicians Appreciation Sunday with special recognition of the Na Leo Ni’o Lani choir, choir director Katherine Wilson, choir accompanist Mary Cockcroft, and church organist Kayleen Yuda. The choir will sing “How can I keep from singing?” by Robert Lowry and arranged by Craig Courtney. The monthly J’s (Jesus’) Mini Mart will also be held before worship service, which begins at 10 a.m. The Reverend Ch oo Lak Yeow is the current interim pastor at Holy Cross. Choo Lak was born in Singapore of immigrant parents from China. He was educated in Singapore, Cambridge, England, New York City, and Berkeley, California [1957 – 1969]. The major part of his ministry was in theological education in South East Asia, 1969 – 2002. He retired in 2002 to Hawai`i to join his son, Kim Lak , then stationed at Barber’s Point. His 12th book on Loving Hawai`i chronicles his impressions, reflections, and love of Hawai`i. His wife, Lian, educated in Birmingham, England, now lives in Beaumont, California, to be near San Diego-based Kim Lak and his family. Their daughter, Mei Ean and her family live in Chicago. 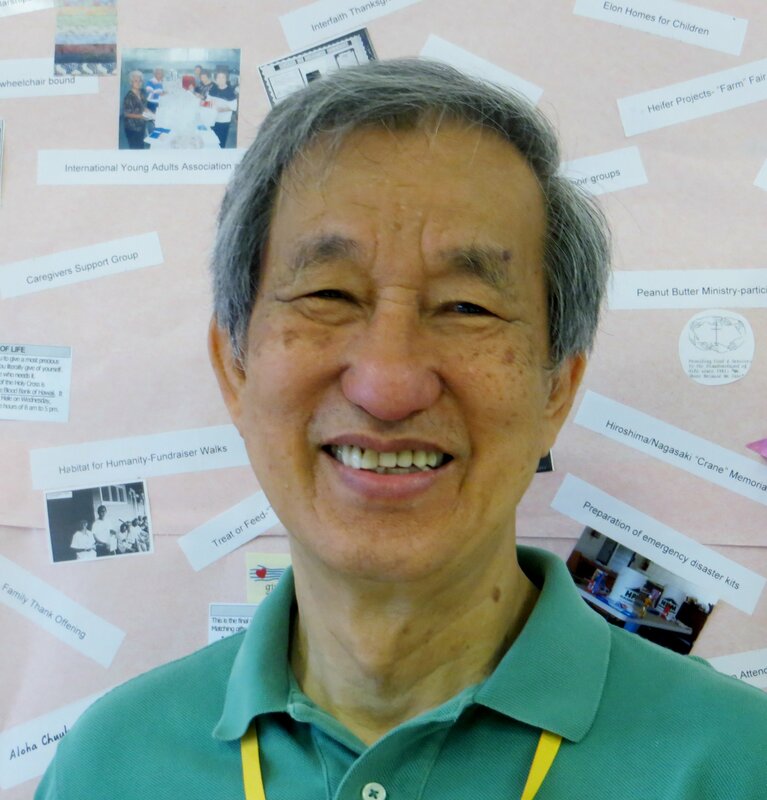 Pastor Yeow served as the Church’s interim pastor first in 2005 and began his tenure at Holy Cross April 16. The Church of the Holy Cross is located at 440 W. Lanikaula Street in Hilo. Call the church office at 935-1283 for more information.